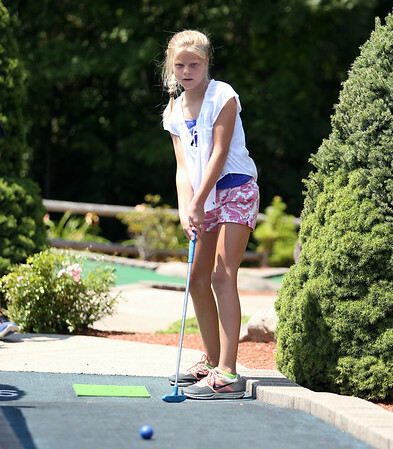 Ten-year-old Lauren Stammnitz, of Marblehead, closely watches her putt while playing mini golf at Castle Creek in Salem on Tuesday afternoon. DAVID LE/Staff photo. 7/29/14.